NBA superstar Kevin Durant was accused of destroying the balance of the league when he left the title-contending Oklahoma City Thunder to join the 73-win Golden State Warriors in his Championship pursuit two years ago. Durant, who is largely considered to be the second best basketball player in the world, was accused of messing with parity in the NBA. And that has unfortunately been proven correct because the Warriors have won back-to-back titles since his addition. But there was just another seismic shift in the NBA that could disrupt the Warriors dynasty while also spelling really bad news for President Trump. LeBron James is almost unanimously considered the world’s greatest basketball player right now. 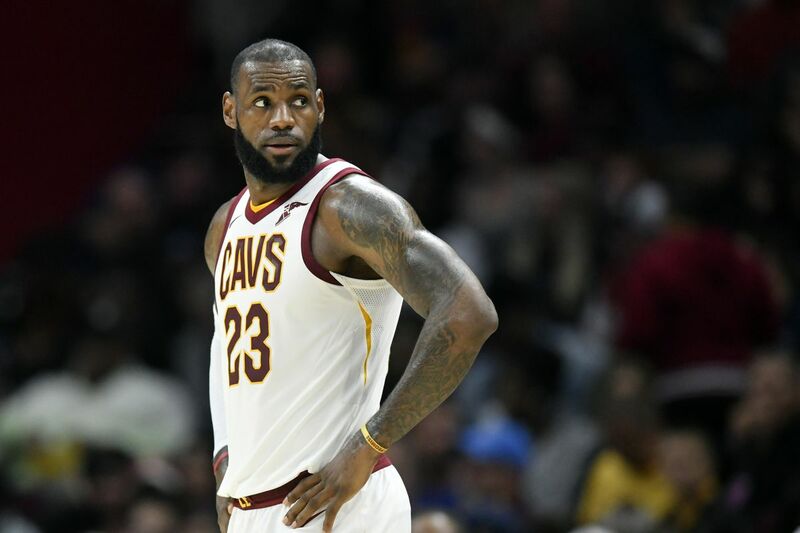 The superstar future hall of famer has been to eight straight NBA Finals and many thought this previous year – his 15th season – was the best year he’s ever had, despite being swept by the Warriors in the NBA Finals. But LeBron “King” James became a free agent after he opted out of the final year of his Cavaliers deal. He has officially decided to move across country with his family and join the Los Angeles Lakers to possibly finish out his career on a 4-year $156 million deal. That is a seismic shift because that means that 14 of the top 15 players in the NBA will all be in the western conference. And the reason why that could spell bad news for Trump is because James owns a production company where he could use his filmmaking platform to attack our president. If you didn’t already know, LeBron James absolutely despises President Trump. One of the King’s biggest rivals over the last four years, Steph Curry, announced last year that he wouldn’t visit the White House after his team won the NBA championship, so Trump disinvited Curry and the Warriors for the blatant disrespect. But James defended his rival on twitter at the behest of his bigger rival, which was a bit of a shock for the NBA fans. James seriously blames Trump for America being divided, instead of former President Obama for igniting this country into frenzy which actually bred the popularity of Trump and even socialist nominee Bernie Sanders in 2016. Obama’s failure as a president spawned a radical change that Hollywood elitists and the liberal mainstream media refuse to admit. And you better believe that by James moving to Los Angeles to be a Laker in the twilight of his career, he’s absolutely looking at his Hollywood elitist life after basketball – producing and financing projects that will go after our president. And, also, James and Obama are good buddies. They’re smitten with each other. This harkens back to Netflix’s huge production deal with the Obamas, doesn’t it? Netflix recently announced a production deal with Barack and Michelle Obama’s Higher Ground Productions where they “promised” it wouldn’t get political, but that’s obviously a lie. And do you really think that Obama and James aren’t going to team up on a slew of projects? Of course they are and you can take it to the bank that they are absolutely planning to go after Trump.